You’ve highlighted a brilliant insight here that we can all stand to be reminded of from time to time. Even people like the previous commenter who claims to want to know truth, really does not want to know if it challenges his preconceptions. Maybe all of us are like this to some degree. I hope that with God’s help I become less sure of my own righteousness and more sure of the true righteousness which comes from Him. Have featured your post in: Eyes & Ears on Love and Truth. I agree Alec. We can all be given to self delusion. We see so much of it. One is inclined to believe that nobody is immune to it. A loving God would make a way for us and did. I know of no statement that is more exclusive or clearer than this. God chose and made the way. Jesus Christ. This is love. For God so loved. 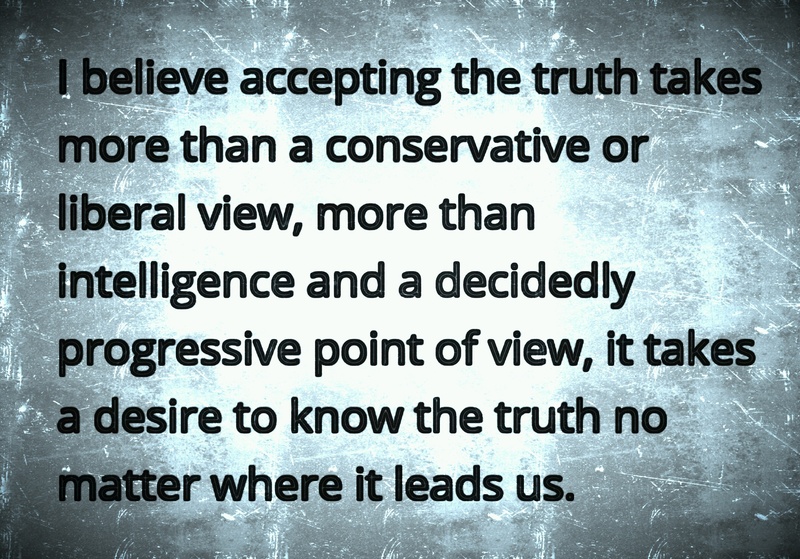 Some very good insights about truth! Be careful when suggesting that we all need Jesus though. It can be easy to be led down a particular path and accept it as the ‘right’ way if all of your context comes from within that path. Truth is not one path. Truth is finding understanding in all paths. « Dear Readers, Do You Agree With Suzanne ? Should I Continue to Post Anonymously or not ?